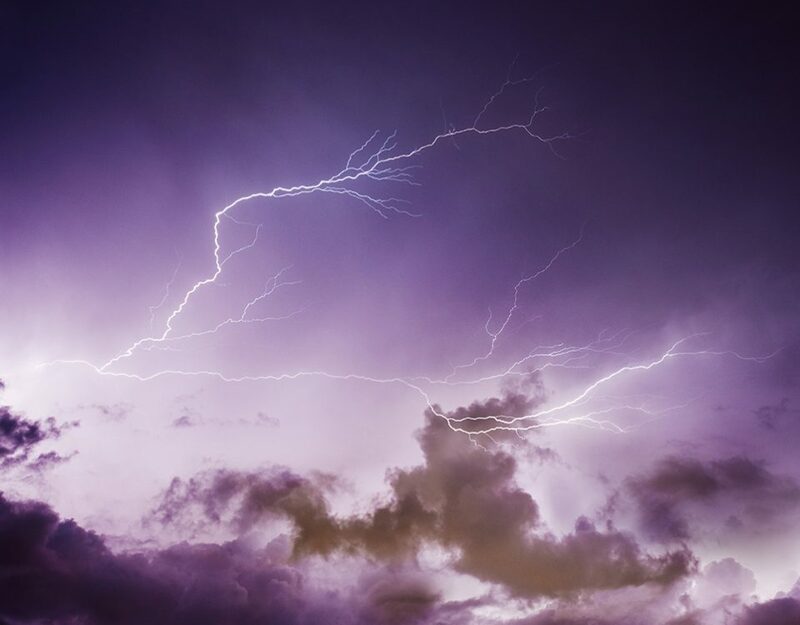 Vaisala, a global leader in weather and industrial measurements, recently released their much anticipated 2018 Annual Lightning Report. The report highlights analytical lightning data collected from Vaisala’s worldwide system and helps give us a clearer picture of the amount and intensity of lightning that occurred in the US in 2018. Below are 4 takeaways that oil and gas companies and employees should review and consider when moving into the 2019 lightning season. The Lonestar State ranked #1 with 2.4 million strikes in 2018. Of course, Texas has more landmass than any other state in the lower 48, but this is still an impressive number when you consider 2.4 million is almost an 80% increase over the #2 state. Ranking #3 for overall strikes with 958,925 and in the top 5 for flash density, Oklahoma finishes out 2018 as one of the most lightning active states. As the oil and gas industry in Oklahoma continues to expand, it’s extremely important to make sure that sites and employees are protected from this amount of lightning. The top 10 dates for strikes all fell within a period of 44 days. June, July, and August were the most active months compared to April, May, and June being the most active in 2017. Every year will be slightly different, but this reminds us that the peak lightning season can fall anywhere from early Spring to late Summer. It’s imperative your sites are protected and inspected regularly. In total, 2018 saw an 11% decrease in total strikes from the 10-year average. That may normally be welcomed news, but Energent actually recently reported a 16% rise in drilling activity. This tells us that lightning activity in oil producing areas was still high and that there are still large numbers of vulnerable sites. The amount of 2018 losses even sparked the creation of Enlightning, an insurance product that combines Physical Damage insurance together with state-of-the-art lightning protection services to combat the rises in insurance costs. Even if 2019 gets back to the average number of strikes, the oil and gas industry could see an even larger number of loses to unprotected sites! Ready to view the full Vaisala report? Click here to visit their website!